Does football take homophobia seriously? There are a few laughs, not much else. It’s all been heard before. Kimi Raikkonen has always been box office, even before he re-signed for Formula One’s most iconic team, Ferrari. The 2007 world champion is a fan favorite and arguably the most popular driver on the grid. Wherever F1 goes, from Monza to Melbourne, Shanghai to Singapore, there are always enthusiastic, banner-waving Raikkonen fans in the stands and, in the virtual realm of social media, he is the subject of plenty of ardent chatter. 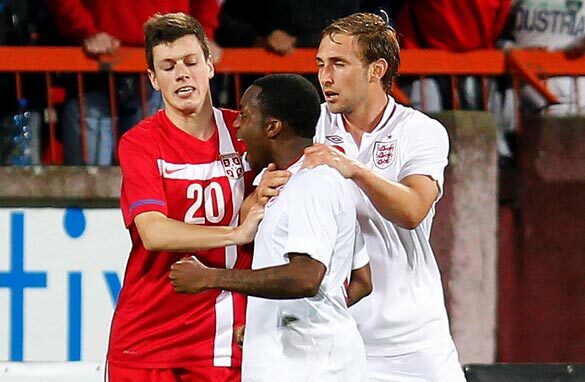 Who are Europe's next young soccer stars? 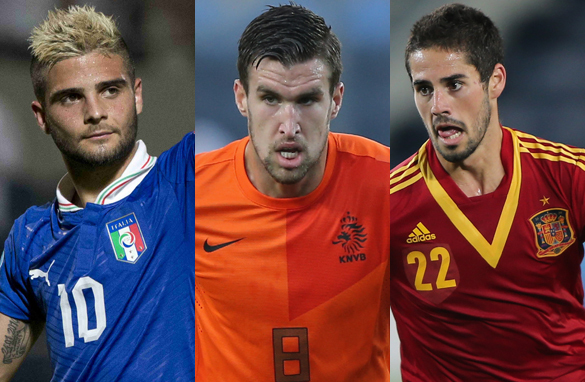 Lorenzo Insigne, Kevin Strootman and Isco have all made an impression in Israel (Getty Images). Yalla! The football stars of the future are on display in Israel - and they’re lighting up the UEFA Under-21 Championship in style. Having spent the past week in Tel Aviv covering the tournament for CNN, it’s given me a great opportunity to take a look at some of the top prospects coming through onto the international stage. RVP controversy: Has Ferguson gone too far? 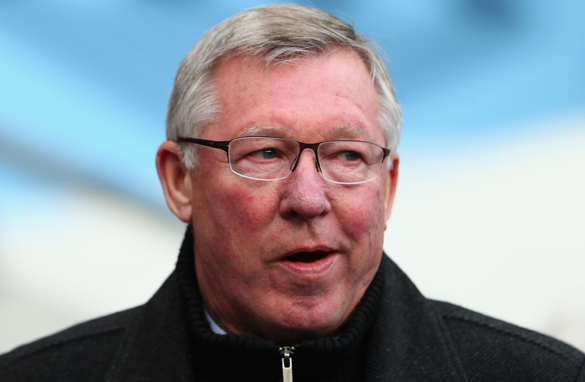 Manchester United manager Alex Ferguson was furious with Ashley Williams for kicking the ball at Robin van Persie's head. Alex Ferguson is a master of the post-match interview, but you have to wonder if he has maybe overstepped the mark this time. The veteran Manchester United manager furiously demanded that the English football authorities take action after his star striker Robin van Persie was hit on the head by a fiercely struck ball when he was lying prone on the pitch during Sunday’s 1-1 draw with Swansea. 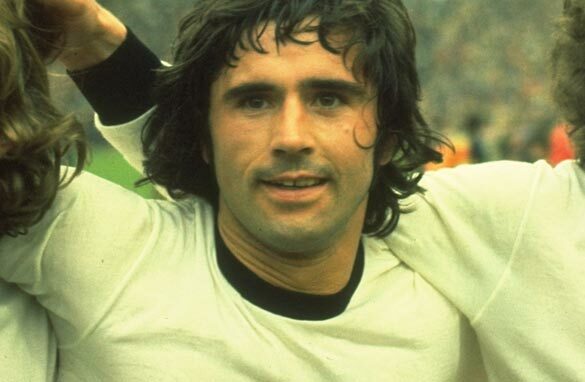 Who is Gerd 'Der Bomber' Muller? When Lionel Messi collided with Benfica goalkeeper Artur on Wednesday, the football world held its breath. Introduced as a late substitute in the European Champions League tie, the Barcelona star left the field on a stretcher. Fans across the globe wondered if fate had put paid to Messi’s attempt to score the most goals in a calendar year. 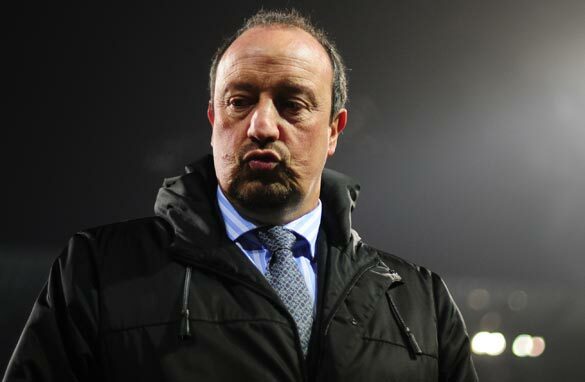 Can Benitez banish Chelsea's blues? Why Rafael Benitez? A question asked by many upon learning Liverpool’s former manager would replace the axed Roberto Di Matteo as interim Chelsea manager. But when the Spaniard’s haul of titles across Europe is examined it begs the question, why not? And when a list of viable and available candidates is also surveyed, who else? Is loyalty Barcelona's greatest strength? When Lionel Messi declared this week, at the relatively young age of 25, that he wants to spend the rest of his career at Barcelona, it provided an insight as to why the Spanish club has dominated world football in recent years. A hot favorite to be named the world's best player for an unprecedented fourth time in January, Messi has already won every title that Barca have competed for - surely at some stage you'd think he'd like a new challenge? Compare his stance to that of his biggest rival Cristiano Ronaldo, whose future at Real Madrid seems constantly under speculation - not least because of the Portugal star's comments earlier this season that he felt "sad" at the Bernabeu. The latest rumor is that he and his manager Jose Mourinho will join big-spending French club Paris Saint-Germain. Messi has the football world at his feet, but he is happy to remain at a club where he moved from Argentina as a boy blessed with undoubted talent - but held back by a slight body that required growth hormone treatment if he was to make the grade. He is not the only player so committed to the Nou Camp. The club's famed La Masia academy has produced a conveyor belt of talent that has helped win three Champions League crowns in the last six years, plus four Spanish titles. Victor Valdes, Carles Puyol, Xavi and Andres Iniesta were either in the starting XI or among the substitutes on each occasion for the European triumphs of 2006, 2009 and 2011, while Messi, Gerard Pique, Pedro and Bojan Krkic (now of AC Milan) featured in the latter two. Add to that octet the 24-year-old Sergio Busquets - who like Xavi, Iniesta, Pique and Valdes was in Spain's victorious 2010 World Cup and 2012 European Championship squads - plus a new generation of La Masia graduates and you have a core of homegrown talent throughout the squad. With such conviction from their star player Messi and such continuity in personnel, it begs the question - is loyalty the most potent weapon in Barca’s considerable arsenal? The list of nominations for the 2012 Ballon d’Or suggests the answer is yes. Messi, Iniesta, Xavi, Piquet and Busquets are all in the 23-man shortlist. Consistency has even been maintained in the dugout, with former assistant Tito Vilanova taking over when all-conquering coach Josep Guardiola ended his trophy-laden four-year reign at the end of last season. Its a club where loyalty swings both ways - many coaching and administrative appointments are made from within the Barca family. Guardiola joined as a 12-year-old and spent more than a decade there as a senior player before finally moving overseas. The familiarity which exists between the squad could also go some way to explaining why some big-name recruits have struggled to settle at Barca. Samuel Eto’o may have scored for Barca in the 2006 and 2009 Champions League finals but, despite his undoubted talent, Guardiola was eager to ship out the reputedly disruptive Cameroonian, which he did in a swap deal with Inter Milan in 2009. In exchange for Eto’o and a reported €46 million, Barca received the equally mercurial Zlatan Ibrahimovic. The Swede is another undisputedly world-class goalscorer who was jettisoned from the Camp Nou after just one year in the famous scarlet and blue shirt. Recent arrivals in the Barca dressing room who have succeeded include Pique, Cesc Fabregas, David Villa and Jordi Alba. It is not hard to see why. Pique and Fabregas both rejoined their childhood club after attending finishing school in England with Manchester United and Arsenal respectively, while Villa has played alongside many of the Barca team in Spain's national team and Alba recovered from being released from the youth ranks in 2005 to make his name at Valencia. Barca’s stability is at odds with archrivals Real Madrid, whose policy has been to buy up the world's biggest names and create a stable of "Galacticos" - and their coaches don't have much time to bring success. Since missing out on the title in 2005, Real have been through seven coaches compared to Barca’s three, collecting just four trophies in that time: three league crowns and one Copa del Rey. Last season Mourinho delivered Real's first La Liga title in four years, but now finds his team eight points behind Barca after only nine matches amid reports of dressing-room discontent. The prize Real crave above all others is a record-extending 10th European crown, and first since 2002. In Mourinho, they have a coach with proven pedigree - he is seeking to become the first to win the Champions League with three different clubs - but his task has not been helped by constant reports of a split between the Portuguese and Spanish players in his camp. If Real are to achieve their ultimate goal, they could do worse than than following the Barca blueprint. Are footballers on a par with bankers? With the Olympics afterglow now starting to fade, football is stepping back into the breach to fill the sporting public’s thirst for entertainment. The big question has been, in Britain at least, whether the positive vibes created by the buzz of athletes giving their all for victory will survive now that the focus has returned to a group whose behaviors have generally been decidedly more questionable. Can soccer be Egypt's salvation? 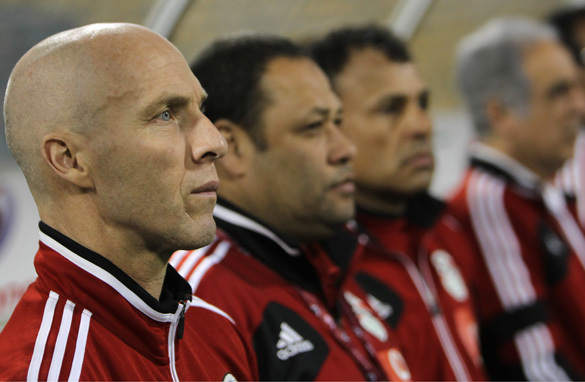 American coach Bob Bradley is seeking to rebuild the fortunes of Egypt's national football team. While the soccer world sharpens its hyperbole for Wednesday’s European Champions League semifinal first leg between Chelsea and Barcelona, another arguably more important match will take place on the other side of the world between two teams from two troubled countries.